Increasingly we see terrific projects raising money on various crowd funding sites like Seed&Spark, IndieGoo and KickStarter. EatDrinkFilms will bring your attention to some of them. The funding for this exciting project ends Thursday, July 9. 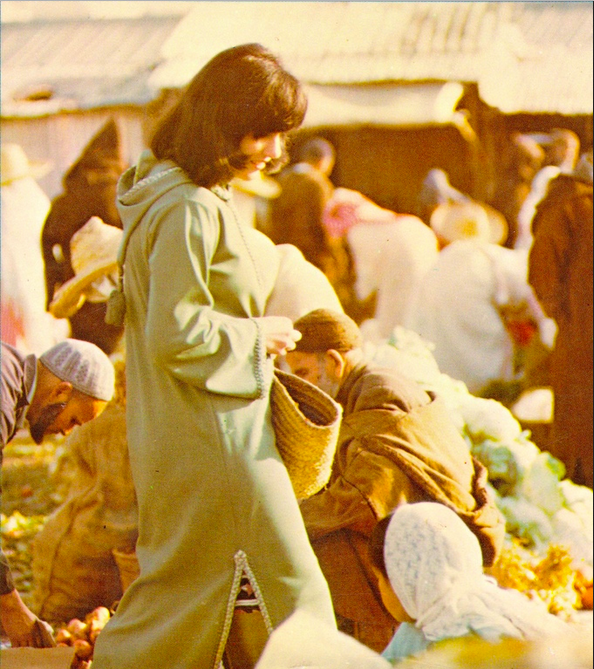 UNFORGETTABLE: Bold Flavors from Paula Wolfert’s Renegade Life will tell the incredible life story of a culinary legend. With your help, this biographical cookbook will share 50 of her most unforgettable dishes, many of them in line with her new brain-healthy diet. Wolfert never achieved the fame of peers like Julia Child and Jacques Pépin. But her life story is too good to forget. Often working below the radar, she changed the way America eats. Known as the Queen of the Mediterranean, she wrote nine seminal books on the region over her 50-year career, publishing her latest, The Food of Morocco, in 2009. For five decades she championed authentic regional cooking and its components — whole foods, foraged greens, meats cooked in animal fat — way ahead of their time. Her determination made her a hero to some of our most influential chefs, like Mario Batali, Yotam Ottolenghi, and Alice Waters. Three years ago, Wolfert was diagnosed with Alzheimer’s. She took on dementia the same way she researched her cookbooks: She dove into research. She discovered a study which showed how diet and other lifestyle changes could partially reverse cognitive decline in early-onset Alzheimer’s patients. She has turned to food as medicine. And she is seeing real results. Today, she says, she feels better than she has in years. And she has raced to share her new approach. The past two years, she has spoken at venues like City Arts & Lectures in San Francisco, and embraced television coverage from CBS and PBS. This spring she traveled to Washington, D.C. with the Alzheimer’s Association as an early-stage advisor, to lobby Congress. Read much more and become a part of making this book a reality by joining the Kickstarter campaign. This entry was posted in Columnists, Eat and tagged Alzheimer's Disease, Eat, Kickstarter, Paula Wolfert. Bookmark the permalink.